Yes, there are a number of options to set up your own branding when embedding the video API on your website or in your web app. Making use of all features is an option in the Enterprise plan. With it, you can integrate the Clipchamp API into your existing UX without any Clipchamp branding. 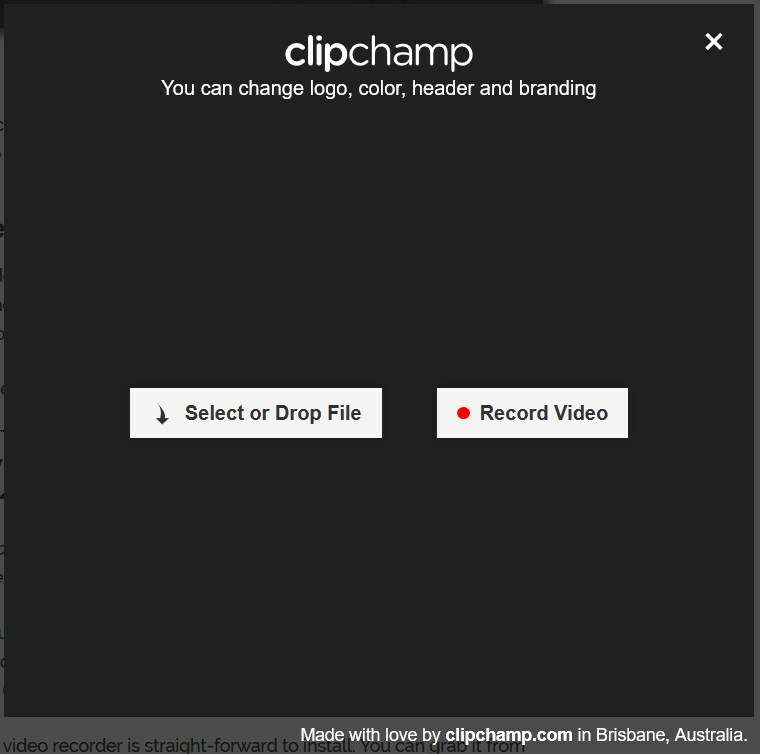 Other plans than Enterprise also include custom branding options, however Clipchamp branding might still be visible in some elements depending on the plan you're on and the custom branding options you set up. Please see the enable parameter and its no-branding option as well as the label, size, title, logo, and color parameters. For custom CSS and styling, see the style parameter in the documentation at clipchamp.com/developers. For the custom embedded button options, please see the Custom Button API setting. For the inline placement options, see the Inline parameter. The branding options listed above are also available if you're using our WordPress video plugin (which is based on our API). Please see the related settings in the plugin admin panel in your WordPress backend. These settings let you select your own logo, headline, color, remove visible Clipchamp branding and also use your own CSS stylesheet. Using the available features, it is possible to adjust our video recorder's look & feel to comply with your or your client's brand and corporate design more easily. If there are any options missing that you'd like to use, feel free to let us know through the contact widget in the bottom right of this page.